I used the Jessica- For You stamp set for this card. I started this card with a standard A2 card base and added the mat cut with the Jaded Blossom Card Mat Dies and the Border Dies. I cut the white mat with the Goody Bag Die and stamped Jessica onto it. I colored her with Copic markers and added it to the card. 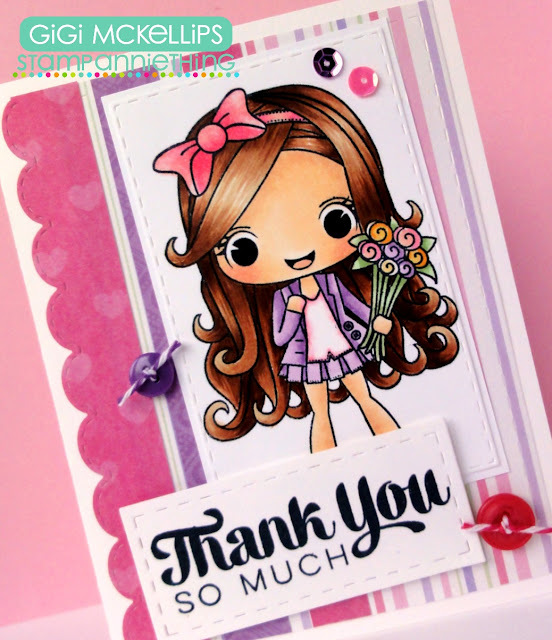 I cut the sentiment tag using the Card Mat Dies and stamped the sentiment from the Supersized Thank You stamp set. To finish, I added some buttons and sequins. And make sure to come back tomorrow for the start of the June Release! Jaded Blossom I used Card Mat Dies for the bottom layer, the Flag Dies for the bigger flag and the Mini Tag Dies 2 for the smaller flag. 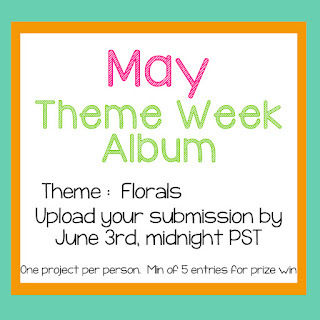 Post your project to the corresponding album over at our Facebook Group page (Stamp Anniething Stampers)! 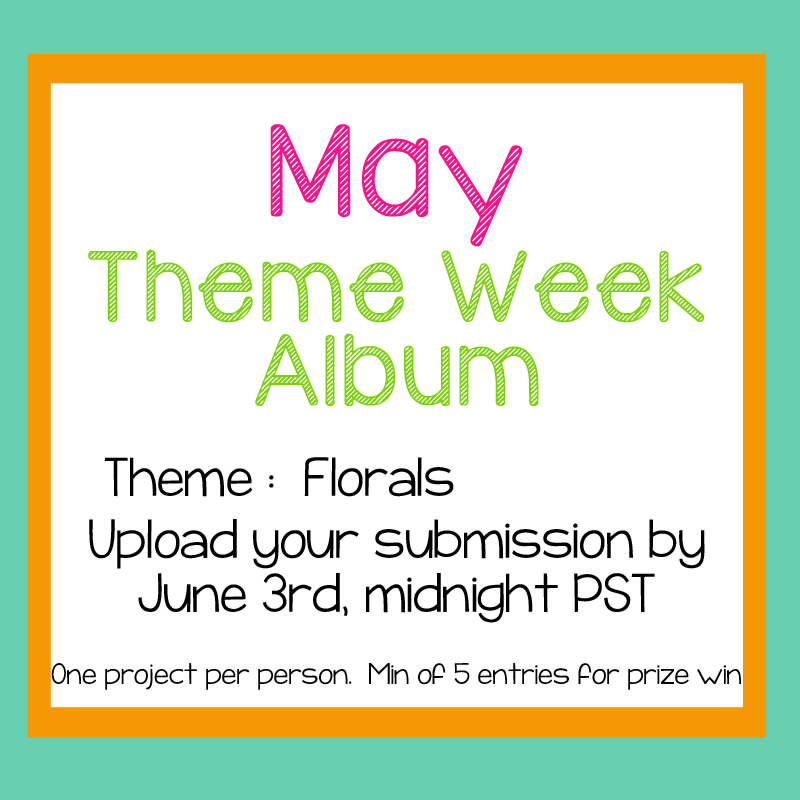 So here we go for May'sTheme Week! 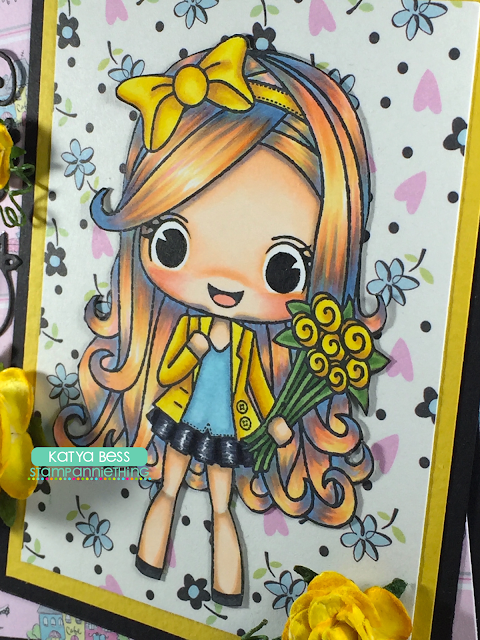 I used Jessica - For You stamp set and colored her up with Copic markers. without going too crazy with it. to match her clothing, bow and roses in hand. to the colors I colored her with. Here is a close-up of the coloring. for visiting and have a great day. 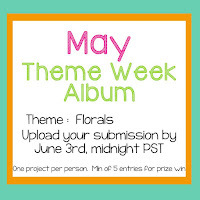 Here is my take on the Floral Challenge. I used a flower die in the background with Danielle - Springtime stamp. I just love the cute ladybug on her shirt and matching polka dot skirt. She is colored with Copic Markers. All projects must be uploaded by midnight PST June 3rd to qualify. I made a simple 4.25 x 4.25 Thank You card. This is the Stamp Anniething ~ Julie : Enjoy the Ride. I colored her in with Copic Sketch Markers. I cut the background with the Jaded Blossom ~ Stitched Square Dies. I cut the frame using the Jaded Blossom ~ Scallop Square Dies. And the sentiment is from the Jaded Blossom ~ School Rules. 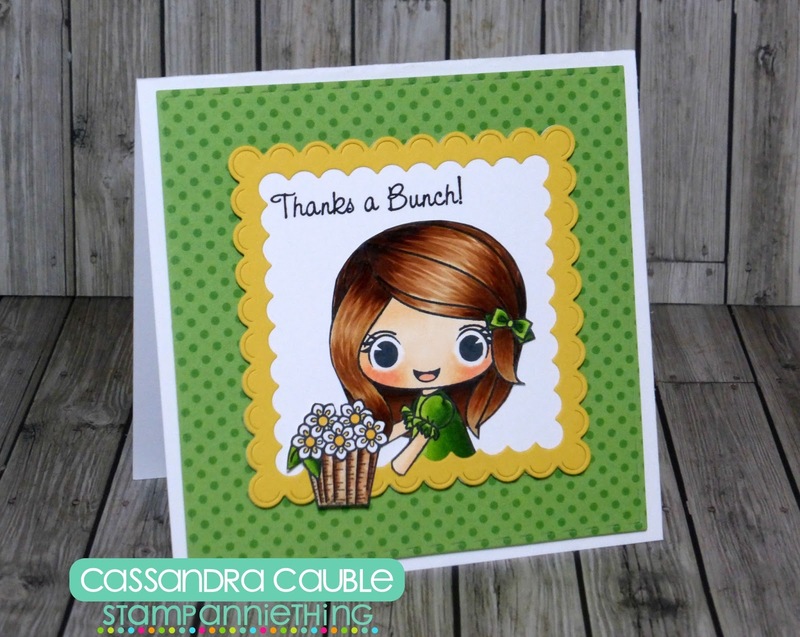 I used the Abigail-Glad We're Friends stamp set for my Floral Theme Week card. I cut the circles using the Stitched Circle Dies and Scallop Circle Dies and stamped Abigail into the center. I colored her with Copic markers and colored in some grass. 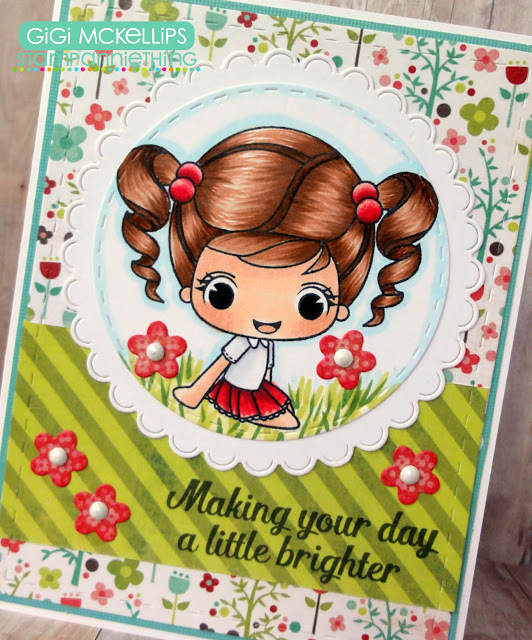 To finish, I stamped the sentiment from the Love and Kindness stamp set and added flowers cut from the Spring Dies. I used Spring Dies for the flowers and the Ticket Book Die for the layer. Hello! 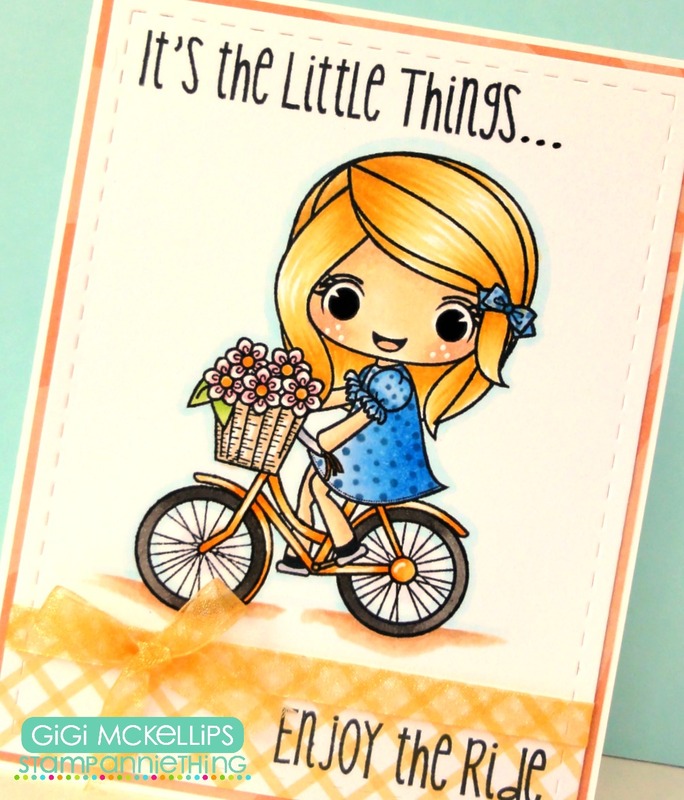 Melissa from Doxie Mel Designs with you today with a new card. 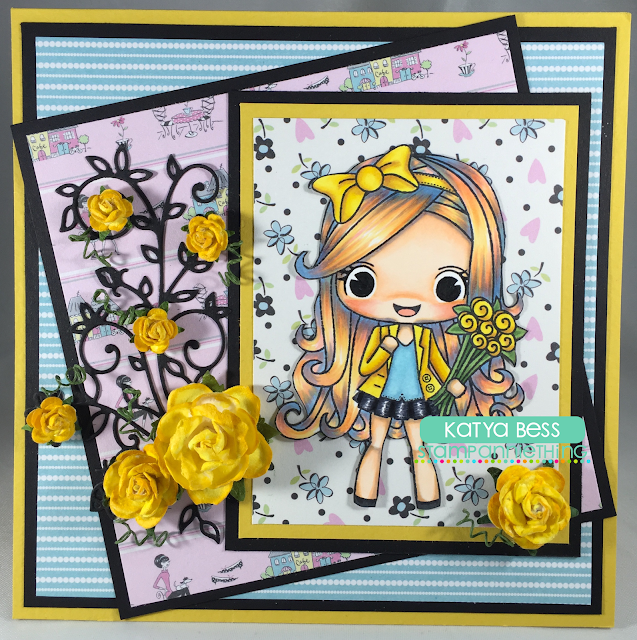 Here is an all occasion card made with the sweet Lorraine Hello stamp set. She is colored with Copic markers and the card base is created with dies from Jaded Blossom. Hello everyone! This is Cassandra from Creating with Color by Cassandra. 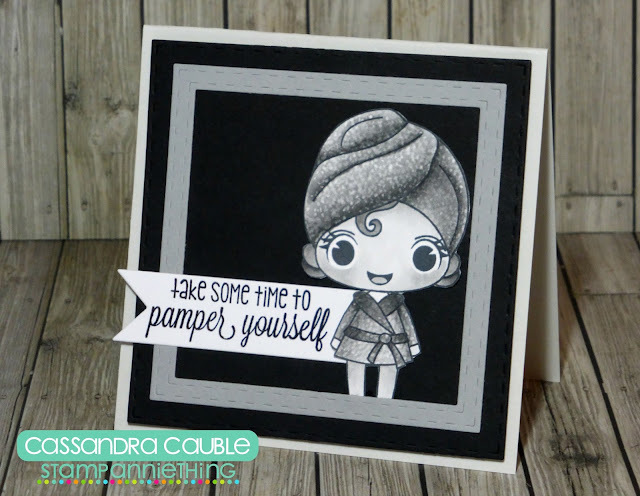 And I have another fun monochromatic card to share with you today. This is a 4.25 x 4.25 size card. And this little cutie is the Stamp Anniething ~ Lucille : Relax & Enjoy. I colored her in with Copic Sketch Markers. I cut the background square and the square frame using the Jaded Blossom ~ Stitched Square Dies. The flag at the bottom is cut with the Jaded Blossom ~ Flag Dies. And the sentiment is from the Jaded Blossom ~ Holiday Pampering. 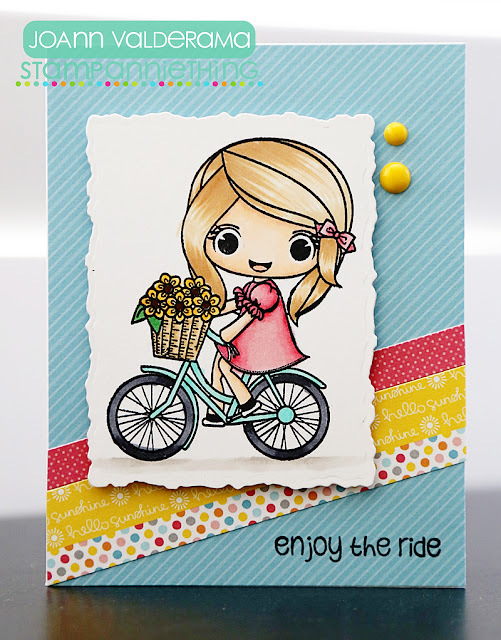 JoAnn from JoBoogie Stamping here with a new card to share with you using the adorable Julie - Enjoy the Ride. I thought it would be fun to create a super simple Spring-card! I colored her up with my Copics and cut her out using one of my Spellbinders dies. I also wanted to use some scraps I had in my stash. I kept the design super simple and you can definitely use this sketch for any cards you might want to create in a short amount of time! For more details be sure to check out my blog HERE. 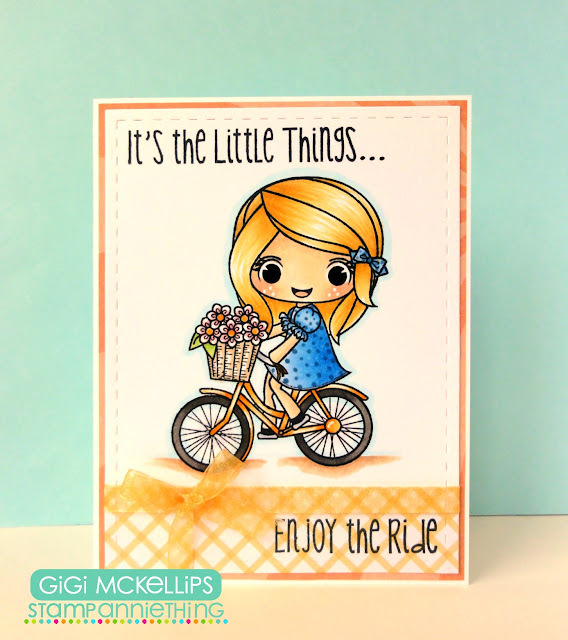 I used the Julie-Enjoy The Ride stamp set for this card. I stamped Julie onto the white mat and colored her with Copic Markers. I stamped the sentiments from the Picture This stamp set into the corners of the card. To finish, I added a piece of decorative paper to the bottom and tied a ribbon and bow. Dog-Gone Awesome for the sentiment and I also used the Wine Tag Die for the tag layer.